Drying inside walls, behind cabinets and inside other complex assemblies used to be almost impossible. Often there would be no choice but to demolish these structures – at great expense to the customer and their insurance company. 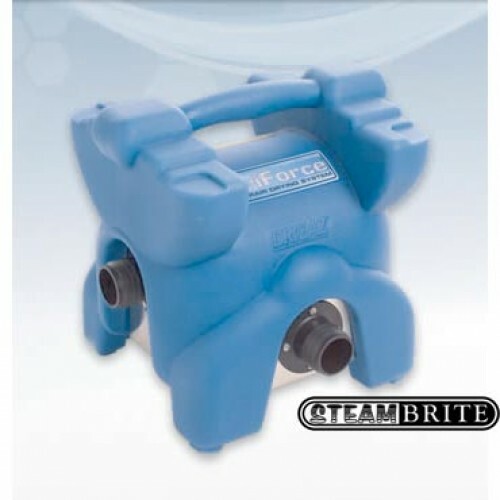 But the InterAir system allows you to direct high-pressure air into hard-to-reach structures and dry them quickly and with minimal disruption. The system requires only making quarter-inch holes behind baseboards or kickplates to gain access these interior spaces. Attach the InterAir system to deliver warm dry air to these spaces for fast, effective drying. Produces up to 38 inches of static pressure! Dimensions H × W × D 14 × 14 × 12 in.